Rachael was introduced to us by a friend of ours. We went into the conversation not knowing what to expect and just blown away at what she has built from scratch. The passion and the mission behind ALICAS just hit home for us and we are thrilled to share Rachael's story on why it is important to have clothes available for women who are starting over - survivors of domestic violence. Rachael, what did you want to be when you grow up and how did that inspire you to be in the roles you’re in today? When I was younger I wanted to be a writer. I was the kid in school who wrote scripts and assembled casts to act them out at lunch time. It was my love of storytelling which led me to my current profession as a freelance marketing consultant. Everyday I tell stories for businesses and brands, on digital platforms and in print. Yet I never thought that my love of storytelling would one day lead me to tell me own. Something personal happened to you that basically was a catalyst for ALICAS. Can you tell us that story and the meaning behind the organization? 1 billion women experience domestic abuse globally. At the age of 19, I was fortunate enough to work with one survivor - Ali. She maintained that a good coat and pair of shoes made all the difference when rebuilding her life. Despite having little else, they enabled her to attend job interviews and take her children to school with pride. It was Ali I thought of when at the age of 24, I found myself fleeing an abusive partner. I was lucky to be supported by Scottish Women’s Aid, where I discovered that across the country women rely on bin bags of clothing donations to rebuild their lives. These donations are often poor-quality, ill-fitting, wholly unsuitable and presented in a bin bag - the symbol of rubbish. ALICAS is a survivor-led ‘for-profit-for-good’ which gifts bespoke clothing parcels to women who have fled abusive relationships. Using a ‘pay-it-forward’ model, ALICAS will provide each women referred with a ‘capsule wardrobe’ tailored to their style, size and religious or cultural needs. These gifts will support women to retain their dignity, identity and confidence. Capsule wardrobes will be created using surplus retail stock, which would otherwise be destined for shredding, landfill or incineration. 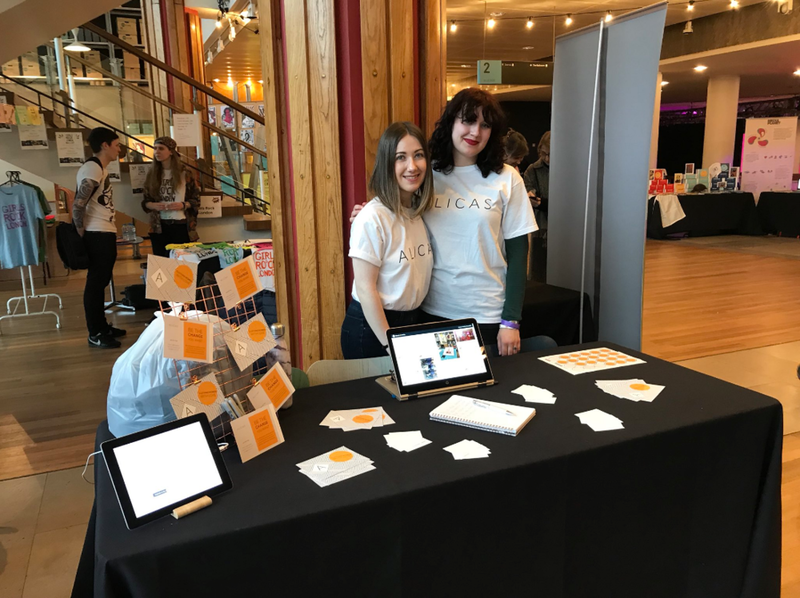 By helping retailers to repurpose their surplus stock, ALICAS will be solving a costly storage problem and CSR nightmare which currently results in the destruction of 1000s of tonnes of clothing in the UK each year. You went to a support group after the traumatic experience, can you share the power of vulnerability in your case? When I fled my abusive partner it felt like I’d lost everything. My identity, my dignity, my confidence. But there is no greater motivator than knowing that feeling and working tirelessly to lessen its impact on the 1 billion women globally who experience it - by clothing them with love. ALICAS is extremely close to my heart and has grown from my own personal experience. For this reason sharing it with others and asking for help have been challenging. It has been hard to admit that, though ALICAS is my idea, I don’t have all the skills or knowledge to bring it to fruition. Just as I had to be brave enough to ask for help when fleeing my partner, I’ve had to learn to ask for help to bring ALICAS to life. This has meant trusting a Co-Founder, seeking out mentorship and asking for funding - amongst other things. Being vulnerable, and allowing myself to be, afforded me the resources to rebuild my life, and the opportunity to make a difference for other women like me. Domestic abuse and gender-based discrimination have long been issues kept behind closed doors. As we have seen in recent months with the rise of #metoo #whyiwearblack and #timesup, the time to keep these issues quiet is over. 21 February 2018 will mark a year to the day that I fled my partner. In that time ALICAS has transformed from an idea to my reason for being. The responses we’ve received have been nothing short of incredible. The more people I tell about ALICAS, the more people want to get involved. From a personal perspective, I have shifted my entire life to ‘ALICAS-first.’ From going freelance to give ALICAS more time, to relocating to Edinburgh to access more opportunities. With end-users and suppliers in place, we are now primed and ready to conduct our 3-month pilot to prove the concept. Through the 3-month pilot we plan to distribute 288 parcels of clothing and repurpose 8640 items of clothing which would otherwise be destined for destruction. We are currently the awaiting the decision of our pitch for seed funding, and should find out by the end of February if we have secured the resources we need to run our pilot. Thereafter we will roll the programme out across the country and further afield. What is your recommendation / best advice to someone who is in a similar position as you were and what are some red flags and quick identifiers? The key thing to remember is that domestic abuse is often not all that obvious. It sneaks up on you. Domestic abuse has been likened to a frog in the frying pan, with the heat ever so slowly turned up over time - you don’t realise you are being cooked until you start to burn. Part of raising awareness comes from education on what does and does not constitute a healthy relationship. As domestic abuse is an insidious evil which knows no bounds of race, religion, gender or socio-economic background, such education should be afforded to all. There are a number of extremely helpful resources to consult if you suspect you, or someone close to you, may be experiencing domestic abuse. I would highlight Chayn’s open-source toolkits, translated into a number of languages and designed to be accessible for all. I used these myself during in my escape, and worked with Chayn after to help other women like me. I have become fairly well-read on narcissistic personality disorder and gaslighting - it was in fact my chance reading of a gaslighting article through social media that made me realise I was in an abusive relationship. I would recommend anyone familiarise themselves with these terms. Be aware of behaviour that tries to limit your contact with your friends and family, makes it difficult for you to exercise your independence or creates a situation where you are reliant on the abuser. These can start in the smallest of ways - so small you often don’t realise them at first. What is next for you and what do you hope to come of ALICAS? 1 billion women globally experience domestic abuse. It is our ambition to reach as many of these women as possible, and lead the change necessary to make domestic abuse a terror of the past. In terms of our own mission, we hope to conduct our 3-month pilot from March 2018 and once we have proven the concept, will roll out the programme across the UK, Europe, USA and further afield. The key thing for us is to build interest in what we are doing, as the more clout we have, the easier it is to get partner organizations on board. thecnnekt readers can help by following us @alicaslove on social media and spreading the word.